While we all know how much of a cleanser lover I am (see past reviews here and my collection video here), my interest is especially piqued when it comes to thick, rich balm-like cleansers. I like to use them either as a first cleanse to remove makeup, or as a second cleanse to help condition and treat the skin. 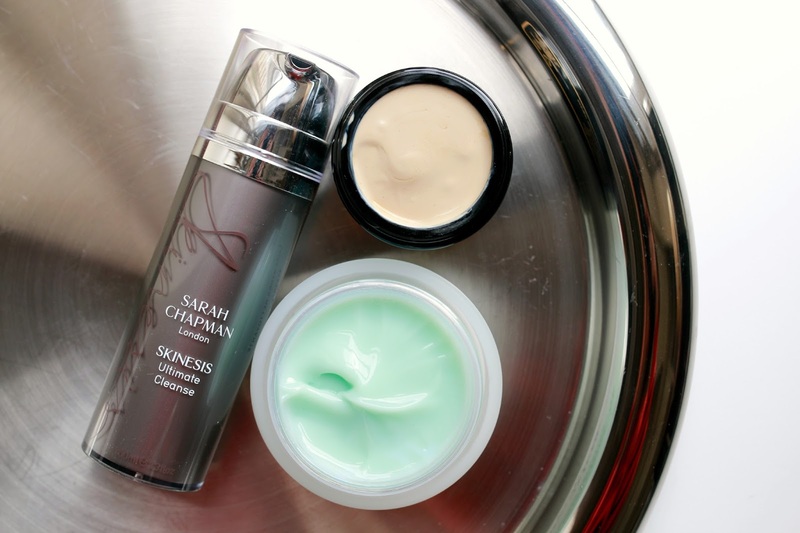 Here are 3 that I have recently tested that are insanely rich and incredibly decadent. 1. 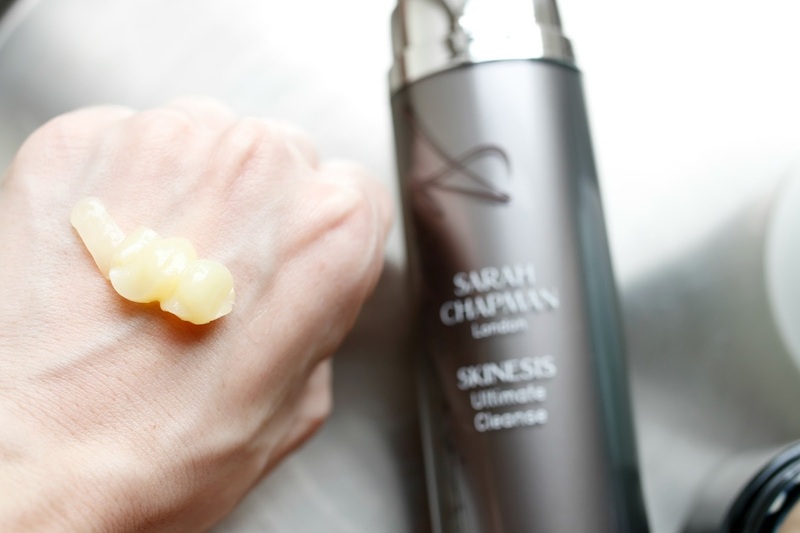 Sarah Chapman Skinesis Ultimate Cleanse -I am already a fan of this cult classic from Sarah Chapman, but I had yet to try a cleanser from the range. I read rave reviews on this, and it sounded like buttery rich balm heaven. AND IT IS. Holy cow! The challenge with some cleansing balms is that they are almost too thick and are impossible to move around the face breaking up makeup and dirt. This strikes the perfect balance between rich and emollient, with great slip that allows it to move all over the face easily while still cutting through the makeup and grime. (I know, gross) It's packed with rich oils as well as vitamins A and E, and is designed to deeply cleanse, exfoliating, brighten and nourish the skin. Frankly, it's heaven in a bottle. 2. 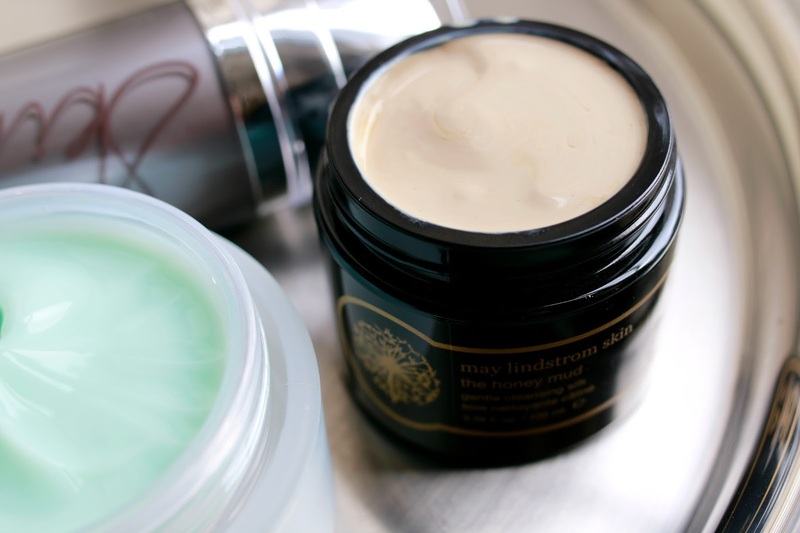 May Lindstrom The Honey Mud Gentle Cleansing Silk - This cleanser (and entire line) is the closest thing you will get to having your skincare handmade for you in your kitchen. May herself sources the ingredients and looks for the most high quality, exotic and nutritent-rich materials to create products that are the epitome of luxury. Perfect example: when I received this cleanser a few weeks ago in the mail, I took it out of the box looked at the bottom of the jar and it had been made this month! WHAT?! I mean, you can't get much more fresh than that. Ok, onto the cleanser. It's a mix of honey, clay and plant oils that May describes as "pudding-like" - and it is. In the jar, it is quite dense but as soon as I put it onto my face and massaged it in, it glided over the skin easily and turned to a gentle milk when mixed with water. I prefer to use this as a second cleanse because I love the purifying elements to this cleanser, and have found that my pores look soooo much cleaner and as a result appear smaller. And on days that my skin is feeling particularly congested, I leave it on for a few extra minutes as a quick treatment mask. I know, I know...I'm such a daredevil. 3. Omorovicza Hydra Melting Cleanser -The name alone was enough to pull me in on this one. Hydra Melting Cleanser - yup, get on my face. This was a tad different from the previous two because it felt more like a mash-up of a gel cleanser and balm. I found this was nice at removing my makeup, but honestly I would not want to waste this on such a mundane task. I would rather use it as a second cleanse so it could work directly on my bare skin rather than fighting through my spackle. Since this cleanser is chock full of tons of different oils (sea buckthorn berry oil, evening primrose seed oil, apricot oil), it was no surprise that this replenished my skin almost immediately making it feel balanced and hydrated It will come in handy now that the cold weather is coming. And just like the May Lindstrom cleanser, I left this on for a few minutes on a night that my skin was feeling particularly dehydrated to help give a nice added boost of moisture and nourishment. Afterwards my skin looked plump and bouncy. And bouncy skin is happy skin.